Thanks to Ralph for handling the meeting location. Feirher GMC Car show – Jeff took his convert. Corvair parts sold at Don’s. Shirts -thanks to Patty for facilitating (make sure you pay). Come and enjoy the cool, green grounds with games, valve cover races, 50-50 raffle, vendor area, car show, and hearty meal of hot dogs and brats (please bring a covered dish or dessert to share). Honors for best Corvairs, and prize for the saddest hard luck Corvair story. At C.J. Brown Dam and Reservoir, 2630 Croft Rd. , Springfield OH 45503 . Sponsored by Mid-Ohio, with Dayton and Cincinnati clubs. Starts at 10:00 , eat at noon . Registration $10 individual or family. As most of you know, I only have a one car garage. So to work on my 64, I have it outside of my garage on a concrete pad. To protect it from the elements I have a metal post carport over it, with a plastic canopy. An hour ago a storm came through, pulled the canopy up into the air and deposited it on my neighbors yard. It is still raining, but I checked on the Corvair. There is no damage!! Since there is a lot of events and shows during September it looks like the best day for 2017 Corvairs-on-the-River will be Saturday September 2nd. We realize this is Labor Day Weekend but what a better way to celebrate it by spending a Saturday having a picnic lunch, enjoying Corvairs and watching all the activities on the Ohio River. Lunch will be at noon. Come early if you wish. Bring a food item to share. It is always a fun time!!!!! September 23 – Orphan Show at Young’s Jersey Dairy in Yellow Springs Ohio. Hope to see you on the River Saturday September 2nd. Please RSVP so we can get a good head count. UPDATE… All parts were bought by Monza Auto Parts out of Hamilton, Ohio. Don Filkins is moving and selling off all of his Corvair parts. The sale date is Saturday, June 3 from 9 a.m. until noon. The address is 6316 Ridge Ave., Cincinnati, OH 45213. Everything must go and no reasonable (or maybe even unreasonable!) offers will be refused. Don is also having a household moving sale the same day. Don is moving into an apartment, so after 46 years in the same house, he has lots of stuff to downsize from. It will be a hot July and we have lots of good stuff coming up. We should be able to knock out two Club Tech Sessions within the next 90 days. I have the carpet and some trim installed on my car. I hope to get the car over to Spencer Duffey’s place here soon to wrap up a few things. Once I do that, we will schedule a tech session over there to get the Spyder running. My 67 Monza with a Subaru EJ20 boxer engine will be coming home soon (90% complete). The only issue remaining to solve the Corvair Hub to Porsche Transaxle. I have a mock up bolted up to the car now, but I will need to send the transaxle to a shop in California to have the transaxle sidewall strengthened. Spencer Duffey has his FC Truck on a rotisserie and the bottom painted. It is really neat to see an FC body / frame bare. A few members are at the Nationals right now (6/29/2017). It looks like a good time. The next meeting is Friday July 14th. See everyone there. Hamilton Meadows Plaza between Burger King / Taco Bell. How many parts can you name in this photo? It was great to see everyone at the Esther Price Collection, Packard Museum and the British Transportation Museum two weeks ago (April 9th). The 2017 CCC Spring Field Trip went well. We had a large turnout and got to see some beautiful cars. We are tossing around the idea of setting up a club workshop. A few members (including me) have projects that need to be completed to get the cars on the road. I will send out the details once they are finalized. It looks like the workshop will be at the end of May or beginning of June. There is a possibility that we will have multiple workshops this summer as well. I will see everyone on Friday May 12th at our next meeting. Today was the annual Corvairs on the River. I could not make it as Kelly worked and little Alexander is teething. This is the first one I have missed and hope to not miss any more. It is always a great time, good food, friends and you never know what Crazy Carla has up her sleezes. As everyone knows, I have lots of Corvair parts that I will need to get rid of here soon. I am going through everything as we speak to build an inventory. Once that is finished, I will start selling parts. Maybe even have the Corvair Club over to the storage lot before Winter is upon us. Last meeting, we voted in a new section of the newsletter, I think it was called Carla’s Corner… I can’t wait to read that section. It most likely will be a rant on how she owns a Corvette and not a yellow Corvair… but we all know the truth. The next meeting is Friday September 8th. See everyone there. 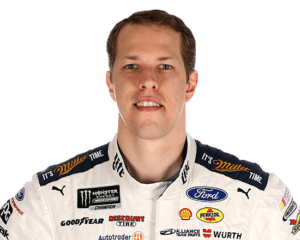 Brad Keselowski Wins Talladega and moves on to Kansas. He has a good shot at winning the championship right behind Martin Truex Jr.